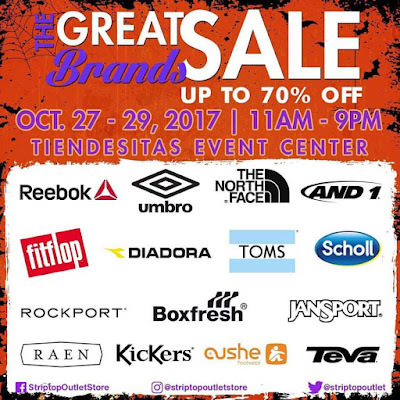 Grab your favorite brands at discounted price only at The Great Brands Sale happening on October 27-29, 2017 from 11am to 9pm at the Event Center of Tiendesitas. 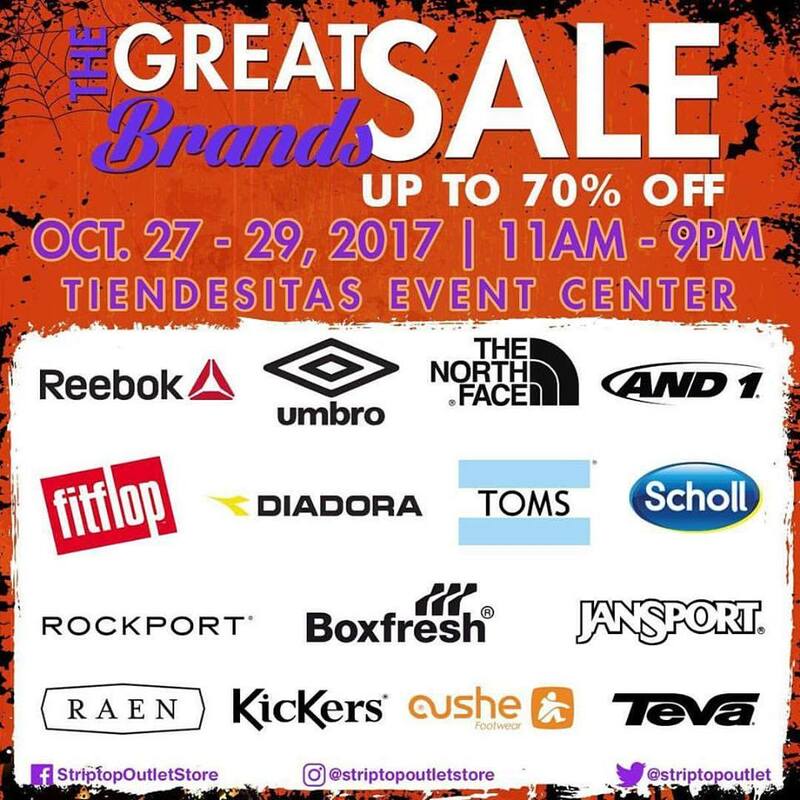 Participating brands: Reebok, Fitflop, The North Face, Umbro, And1, Toms, Diadora, Rockport, Jansport, Kickers, and more! Admission is FREE, and all major credit cards are accepted.